Mechanical engineer John Amend co-founded Empire Robotics in Boston to give robots a better grip. Their Versaball picks up non-uniform objects using innovative granular jamming technology, allowing a soft surface to conform to irregular shapes. “3D printing is part of our everyday prototyping process, we use 3D printers like other engineering tools–like a drill press or other high-end tool,&ldquo; Amend said. The Form 1+ has proved to be the perfect tool to continue their fast-paced development process. 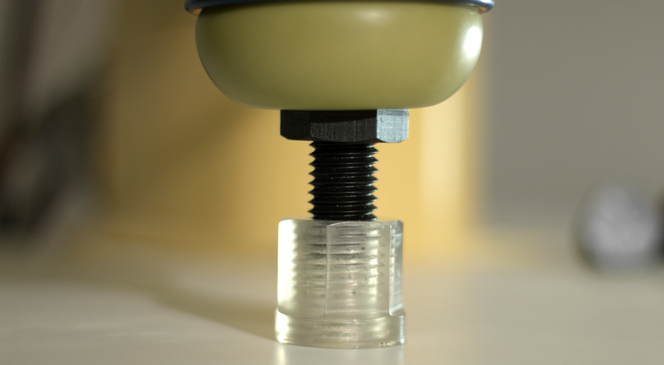 Empire Robotic's Flagship Product: The Versaball grips objects using granular jamming technology. “Every mechanical engineer should have a Form 1+ on their desk. To be able to design something, print it, and in the morning, test it,&rdquo; Amend said. In the company’s early days, Empire Robotics used expensive and slow service bureaus. The Form 1+ has sped up their development process and dramatically reduced the cost of prototyping. Functional Prototypes: John uses the Form 1+ to rapidly build and test functional prototypes. Experience SLA technology firsthand: Request a free sample of our Standard or Engineering Resins.